The Cell Sciences Imaging Facility (CSIF) is a University service center that provides high resolution, state-of-the-art technologies for imaging and analyzing the molecular and structural organization of cells, tissue and bioengineered materials. The CSIF operates two sites at Stanford University: The CSIF at Beckman Center and the CSIF at Shriram Center. Both locations are open to all members of the Stanford community as well as to external academic and industry researchers (with approval). You are on the CSIF Beckman Center iLab website. Click this link to access CSIF Shriram Center iLab site. CSIF at Beckman Center houses both advanced fluorescence microscopy and electron microscopy instrumentation. Advanced microscope technologies include super resolution (SIM, gSTED, PALM/STORM), laser scanning confocal, multi-photon, FLIM, TIRF and widefield deconvolution as well as state-of-the-art scanning and transmission electron microscopy. Detailed information on these microscopes can be found in the Schedule Equipment tab above. Quick links to the microscopes scheduling calenders are below. The CSIF-FMC provides access to and training on high end fluorescent microscopes on an hourly fee basis. Current microscope technologies include super resolution (SIM, gSTED, PALM/STORM), laser scanning and spinning disk confocal, multi-photon, FLIM, TIRF and widefield deconvolution. The CSIF-EMC is a full service lab providing access to and training on transmission (TEM) and scanning (SEM) electron technologies as well as sample preparation, immuno-histochemitry staining, room temperature electron tomography, serial-section SEM, EM imaging and documentation. The CSIF-ATC provides complete array tomography services and training, including sample prep, array generation and immunolocalization as well as access to automated fluorescence microscope and AT specific reconstruction software. Both the Beckman and the Shriram locations offer advanced software for 3D volume rendering and image analysis (Bitplane Imaris, PerkinElmer Volocity, SVI Huygens Deconvolution, ImageJ FIJI, Becker&Hickl SPC Image). Training, as well as assistance with experimental design, is available on all key technologies. If you are on our External home page see Schedulable Equipment and Resources at bottom of page. As with all Stanford Service Centers, credit must be given to Cell Sciences Imaging Facility for data that results in a publication. If the work done at Cell Sciences Imaging Facility produces data resulting in a figure in a publication, you are required to acknowledge Cell Sciences Imaging Facility in the publication. Further, if Cell Sciences Imaging Facility staff members provided significant experimental design, data interpretation, or other intellectual contribution (as evaluated by the PI), then it is expected that these individuals will be coauthors on the publication. Additionally almost all of the CSIF's microscopes were obtained via NIH instrumentation grants and therefore require proper acknowmedgement. Please see the required NIH citation information included on the microscope's description page or contact the CSIF director. Typically get 3 arrays of 40, 200nm sections per coverslip array. That is 120 sections, on 3 coverslips or approximately 24 um in 2.5 hrs. The charge is per day. Please contact Anum Khan anumkhan@stanford.edu for more info on CODEX service. The Tousimis 815, Series A, Critical Point Dryer is a fully automated instrument with a chamber size of 1.25" (ID) and 1.25" (H) and Soter condensor unit to capture waste alcohol and eliminate purge exhaust noise. Samples need to be dehydrated into 100% ethanol before CPD drying with liquid CO2. Samples are mounted (using various custom-made accessories) in ethanol in the CPD chamber and after cooling the chamber, the process will automatically advance through steps of purging, heating till Tousimis equalibrium is reached, followed by gradual bleeding of CO2 gas and venting to ambient pressures. This is a flat-fee item that covers a training session by CSIF technician for three hours and the setup of a CSIF service account for one microscope instrument. This is a prerequisite for all independent usage of each microscope in the facility. Please contact CSIF at 650-723-2449 or email microscopy@stanford.edu to discuss your imaging needs and our time availability. After which, CSIF will book time under your name for the training on the specific instrument. Thank you. You can also fill out the email form here. This charge is added whenever extended technician assistance is rendered. Contrast staining of sections on grids (up to 8) for best morphological analysis: 3.5% Uranyl Acetate in Acetone followed by 2% Lead Citrate. More than 8 grids will be at a charge per each additional grid. 2 to 8 samples should be lightly fixed using 2 to 4% EM grade Formaldehyde along with Glutaraldehyde between 0.01 to 0.1% to improve the morphology in 0.1M Sodium Cacodylate or PO4 buffer @ RT 1hr and cut into 1mm3 cubes then placed into 4oC. Fixed cells should be scraped/quenched and washed with buffer then equilibrated with warm 10% gelatin/spun down and pelleted then chilled on ice before cutting into 1mm3 or smaller. They will be embedded equilibrated in 2.3M Sucrose and then frozen on pins for sectioning using the Cryo-ultramicrotome.?? Typical cost. Single antibody/grid on up to 8 grids, including controls. ? ?This includes contrast (UA and Pb) staining when appropriate. Additional antibodies, double labeling etc. will increase time and cost.?? NOTES:? ?Sections should be collected on nickel grids treated with sticky grid solution or Formvar/Carbon coated. Copper grids can be used but uncoated copper grids should not be used. Sections are mounted on shiny side of grid, all steps below are done with shiny side up. All incubations should be done in a humidity chamber. Block, localization and wash are done in ceramic spot plate (Coors). 2 to 8 samples should be lightly fixed using 2 to 4% EM grade Formaldehyde along with Glutaraldehyde between 0.01 to 0.1% to improve the morphology in 0.1M Sodium Cacodylate or PO4 buffer @ RT 1hr and cut into 1mm3 cubes then placed into 4oC. They will be embedded in acrylic resins such as LR White (EMS) or Lowicryl (EMS). These allow for easy storage/trimming/handling of samples at room temperature once embedded. can do multiple antibodies if raised in different organisms (if no cross-reactivity). This is used to bill out cost recovery of variable consumable supplies such as specialty coverslips that may not be in existing add-on categories. Please comment and specify what this charge exactly covers per the order. NOTE: There is a minimum charge for Negative Staining that includes up to 5 grids. NOTE: A charge per grid will apply for each additional grid after first five. Place ~4ul of purified protein on glow discharged 300mesh carbon/formvar coated Cu grids. Allow to settle 3 min. Wash grids with 3 drops 1% Uranyl Acetate in ddH2O then allow 3rd drop to sit on grid for 1 min. Pull off most of drop with filter paper and allow to dry. View samples at 120kV on the TEM. Manual of POC-R system here. For use at the CSIF, POC-R is to enable open and closed perfusion and cell cultivation. SEM imaging is done by the staff electron microscopist, using the user/researcher's prepared samples. The user should preferably be present (at least partially) during the first imaging session to discuss and indicate the feautures of interest, and image magnifications required. Data can be downloaded from the SEM-PC on site, or remotely from CSIF servers, or sent to the user through Stanford Box. Samples are aldehyde fixed and resin embedded for ultrathin sectioning similar to TEM analysis, but with additional en bloc staining techniques with heavt metals to improve conductivity of ultrahin sections on glass sides. Slides are carbon coated for improved conductivity, and scanned serially with FESEM to obtain a stack of images for 3D reconstruction. Fix samples in 4%PFA/2%Glut in 0.1M NaCacodylate Buffer (4h+) Keep overnight or for extended periods of time at 4deg Celsius, fully submerged in fixatives and sealed with parafilm. Prepared specimens (CPD dried and/or cut to size) are mounted on 12 or 25mm aluminum pin stubs using colloidal graphite or Copper tape (or Carbon tabs for Hitachi 3400N VP-SEM only). Strictly NO carbon tabs are allowed in the Zeiss Sigma FESEM. For improved conductivity specimens are coated with gold/Palladium (Au/Pd) to a thickness of 50-100Angstroms, using the Denton Desk II sputter-coater. Non-conductive samples can be used uncoated with the Hitachi VP-SEM using low vacuum mode. Fix tissue (or cells on coverslips, or cells on hydrogels) 4 hrs to overnight in 2% Glutaraldehyde with 4% PFA (Paraformaldehyde) in 0.1M Na Cacodylate Buffer (pH 7.3). Samples should be either cut to appropriate size, grown on 12-22 mm coverslips, or centrifuged to concentrate small particles. Submerge samples in fixatives, close with parafilm, and keep cold (4oC) for 1hr to weeks, before continuing processing. Never allow samples to dry out, or warm to room temperature in fixatives for longer than 1hr. Bacterial samples must be grown to late log pahse (OD~0.6) for sufficient numbers, or grow as biofilm on a suitable surface, or as cell culture on poly-L-lysine coated coverslip. Bacteria can also be fixed in eppendorf tubes, and 100ul aliquots pipetted onto PLL coated coverlips. Vacuum-filtration of bacteria through microporous filters (0.22-0.45um pore size) also allows for retention of small particels, cell clusters or univellular organisms on usable surfaces. Microporous capsules (70-200um pores) that are compatbile with CPD drying can also be used with great success to retain and easily handle small particles during processing. Post-fix 1 hr in 1% aqueous OsO4 (Osmium Tetroxide) Highly toxic!! Use in hood!!. *Dehydrate in increasing ethanol series: 50-70-90-100-100% (10min each). **CPD (Critical Point Dry) with liquid CO2 with Tousimis Autosamdri 815. Mount samples with double-sided carbon tape, or Colloidal Graphite, on Aluminum stubs. Sputter-coat with Pd/Au - 100 Angstrom layer (3-5 min) with the Denton DeskII system in lab. * Hydrogels and samples in VP-mode, using coolstage control: do not dehydrate, CPD or sputter-coat. ** CPD drying can be replaced by HMDS (Hexamethyldisalazane) drying in conditions where the size, orientation, or other physical parameters are not compatible with CPD conditions. Replace the final 100% ethanol with a 50% solution of HMDS in ethanol (15min), followed by 100% ethanol (2x15min). Remove all HMDS and allow sample to dry overnight in a desiccator. 2% OsO4 (EMS Cat #19192) dilute with mQ water to 1% conc. The Denton Desk II sputtering unit is equipped for Gold/Palladium coating and includes a thickness monitor. The secimen chamber can accomodate ten 15mm (D) SEM stubs at a time. Ease of use and reliability are features valuable for use by students from all disciplines. Two to Eight samples are typically accepted as one run. The Leica EM PACT2 HPF can freeze samples 100 to 200nm thick by 1.5mm in diameter. It can also accomodate 1.2mm round sapphire coverslips which cells can be grown on. Samples are then freeze substituted/processed into an Eponate for morphological analysis or Acrylic resin for immuno-gold localization. NOTE: more difficult samples may require additional time and cost. Samples fixed in 2 % Glutaraldehyde(8% stock-EM grade) and 4% p-Formaldehyde in 0.1M NaCacodylate (or HEPES, Tris, PO4) buffer pH~7.2 for 20 min @ RT then moved to 4oC for 40 min to a couple of weeks. Change to 1% Uranyl acetate in ddH2O, stained for 2 hrs to Overnight. Change to fresh Epon, place labels into beem capsules and fill with fresh resin, put on top of coverslip. Samples are usually fixed w/2% glutaraldehyde & 4% paraformaldehyde in 0.1M Sodium Cacodylate buffer, pH 7.4 for 1 hour @Room Temp and cut into blocks ~1mm3. Other buffers can be used: e.g. HEPES or PO4. After fixation samples are then moved to 4oC for immediate processing. Some people have left samples in fix for days to weeks with little change to the morphology. To enrobe cells in gelatin spin cells down 5 min @ 4kX and wash in buffer 3X: re-suspend cells in warm gelatin, 10% in PBS, for 5 min/spin 5 min @ 4 kX, place on ice 5 minutes then cut into blocks. Cover with cold Osmium(step 2). Tomographic reconstruction of 3-D data, based on images acquired as tilted projections, using intermediate voltage electrons interpreted by IMOD which is a set of image processing, modeling and display programs used for tomographic reconstruction and for 3D reconstruction of EM serial sections and optical sections. The package contains tools for assembling and aligning data within multiple types and sizes of image stacks, viewing 3-D data from any orientation, and modeling and display of the image files. IMOD was developed primarily by David Mastronarde, Rick Gaudette, Sue Held, Jim Kremer, and Quanren Xiong at the Boulder Laboratory for 3-D Electron Microscopy of Cells. 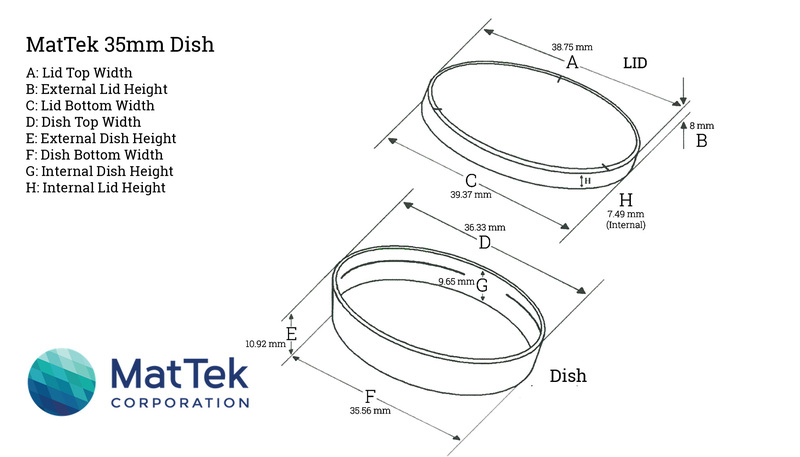 Obtain Semi-thin (350 to 1000nm thick) and ultrathin (50 to 120nm thick) sections. NOTE: More difficult blocks require additional time/cost. The Denton Vacuum Bench Top Turbo (BTT) is a fast, clean, high vacuum bench top evaporator with simple automated operation for evporation or sputtering. It utilizes solid control electronics to control the pumpdown and venting sequences. The pumping package consists of a turbomolecular as well as a mechanical pump. It has a 1kV evaporation power supply for carbon coating, and 4000 volt AC glow, as well as a sputtering module for depositing noble metal. Also, a rotaing and tilting substrate table is included. 1. AC GLOW DISCHARGE: All materials exposed to our atmosphere tend to accumulate molecular lauers of oill and water on the surface. These few moleculaar latyers cause the surface to repel water. Carbon fioms so contaminated will cause aqueous solutions to bead rather than to spread over the surface. Contaminated griads will not pick up replicas readily. The AC glow discharge will clean the carbon support films and grids in vacuum of the molecular layers of oil and water. 2. CARBON EVAPORATION SOURCE: The carbon evaporation source is adjustable and is designed to provide carbon fims for support, replication or conduction. Rods 0.04mm (D) are evaporated for 30sec to 2 minutes. Data processing computer installed with software for image data quantification or 3D rendering.